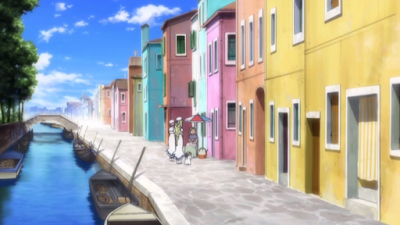 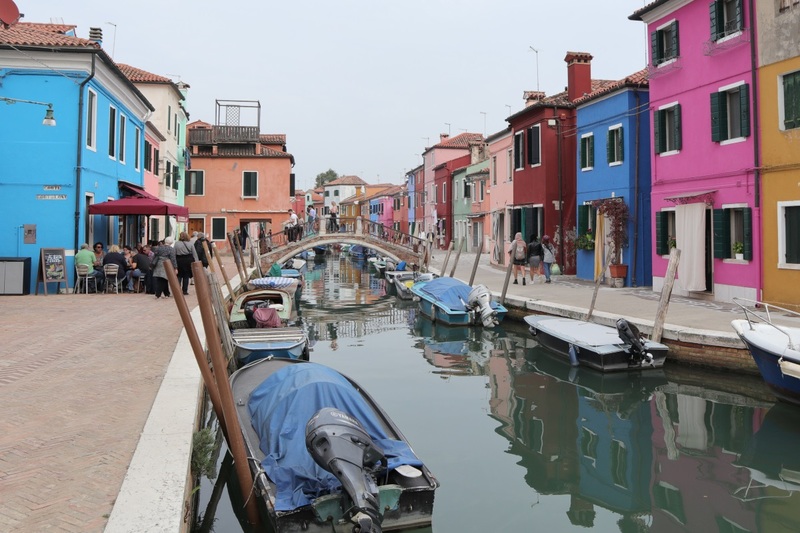 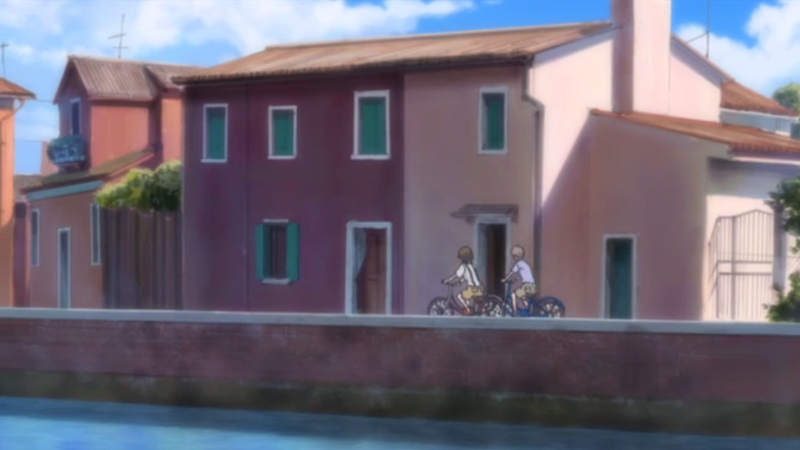 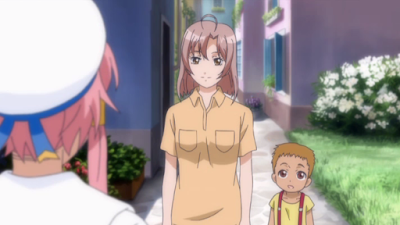 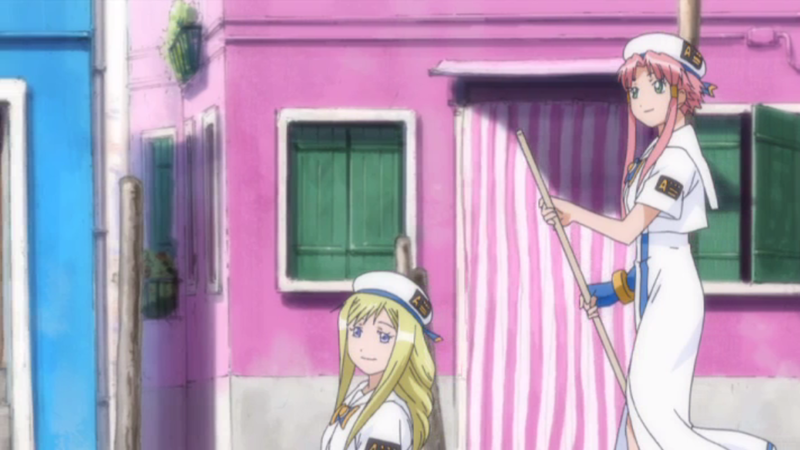 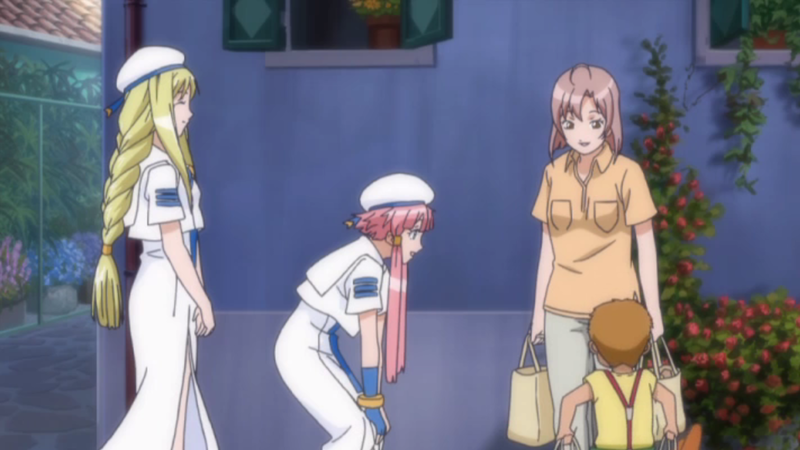 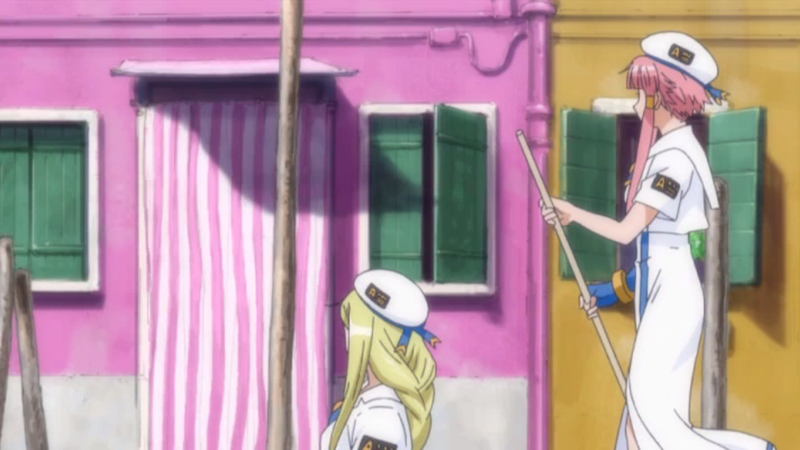 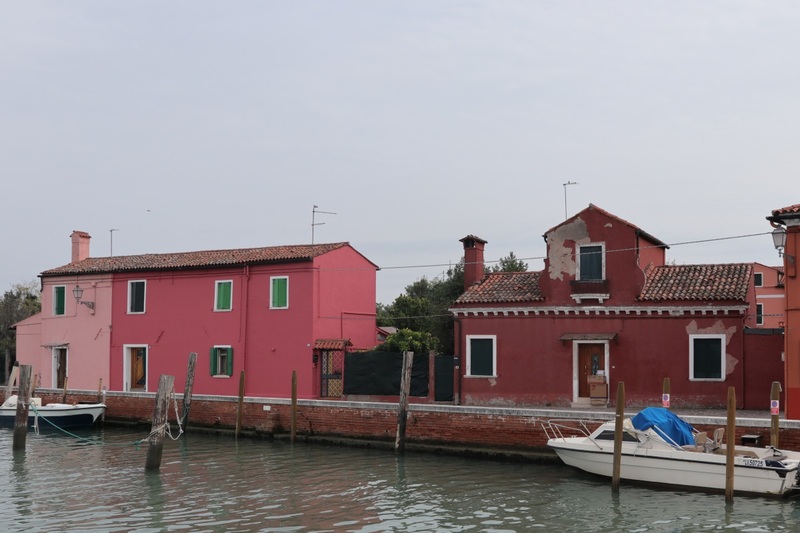 In episode 7 of Aria the Origination we see Akari and Alicia going to Burano Island, not to be confused with Murano Island. 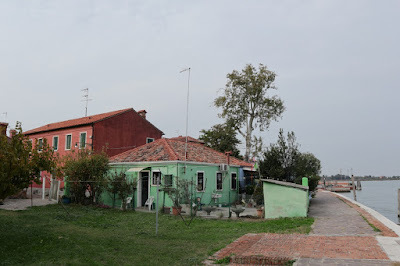 The place shown here is actually on Mazzorbo Island near Mazzorbo water bus stop. 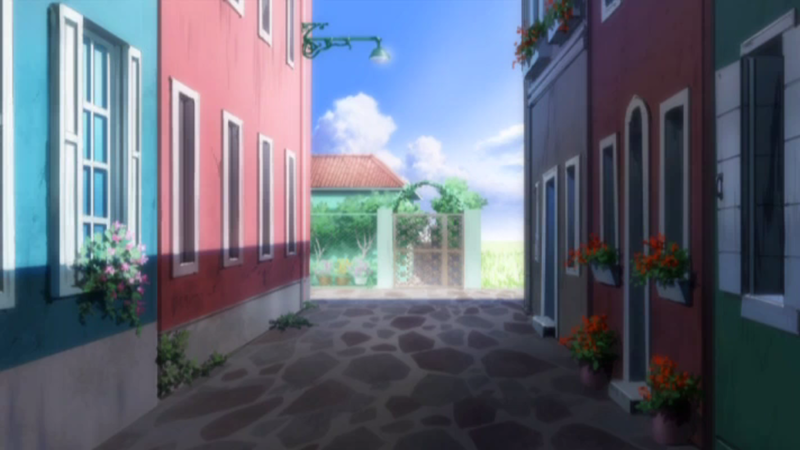 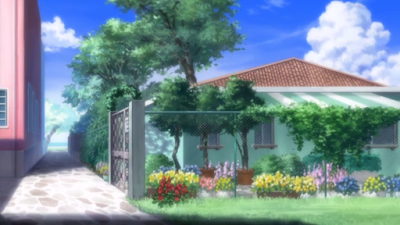 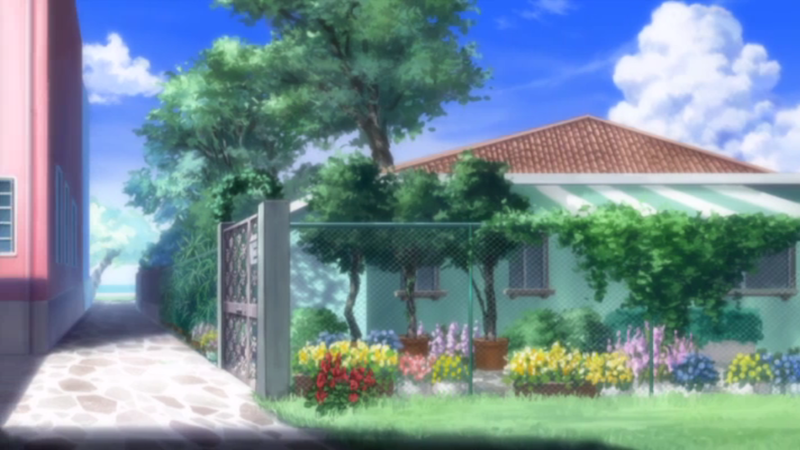 The image is also flipped in the show so the house on the right in the anime shot is on the left in real life. 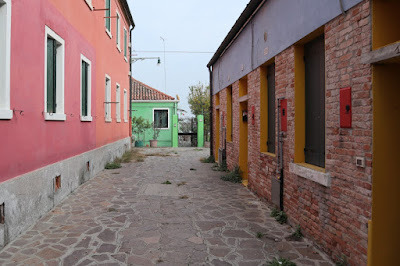 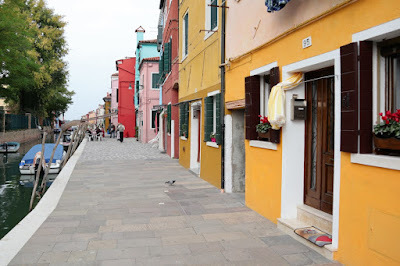 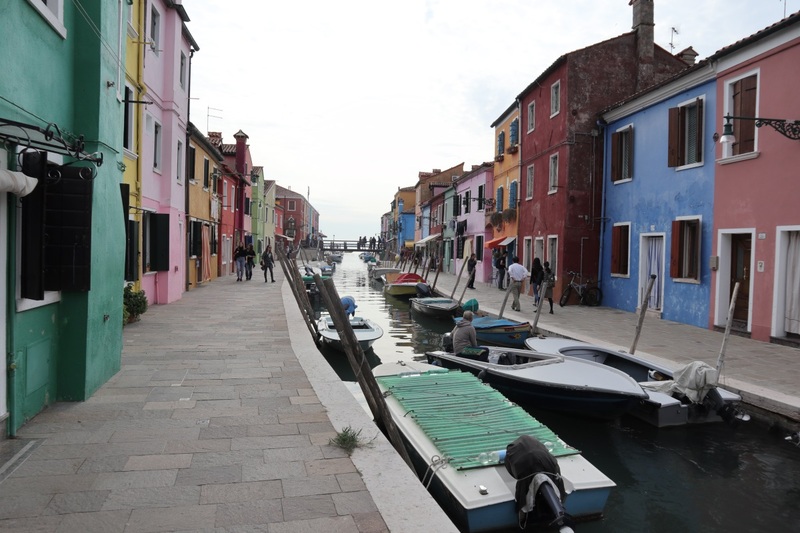 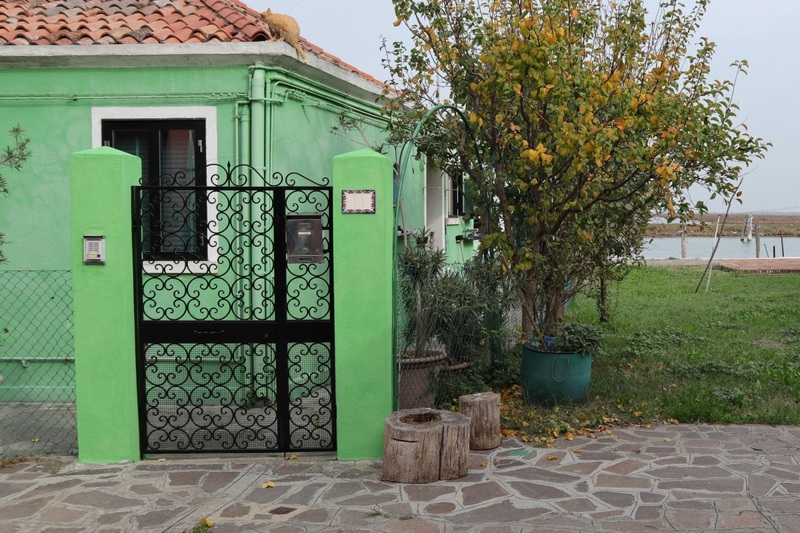 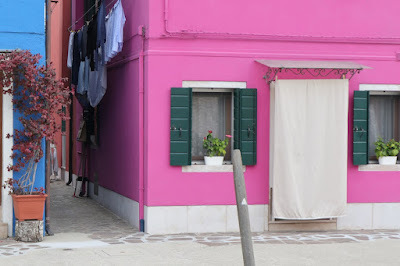 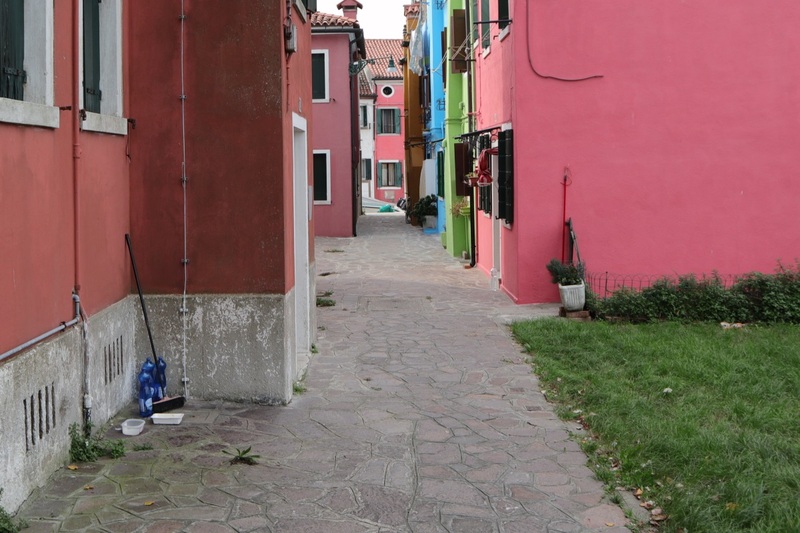 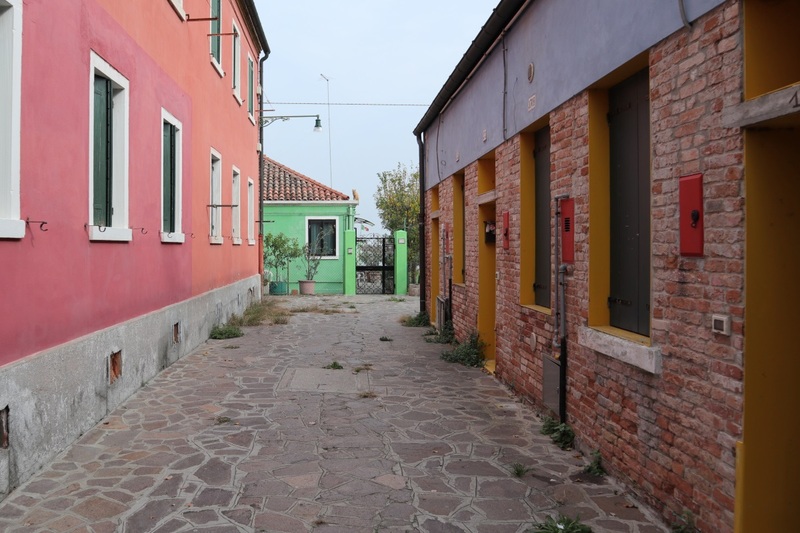 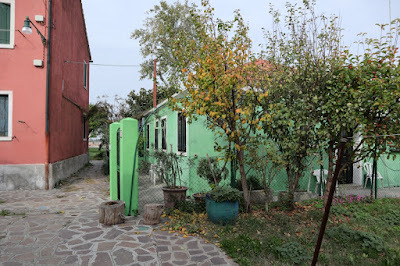 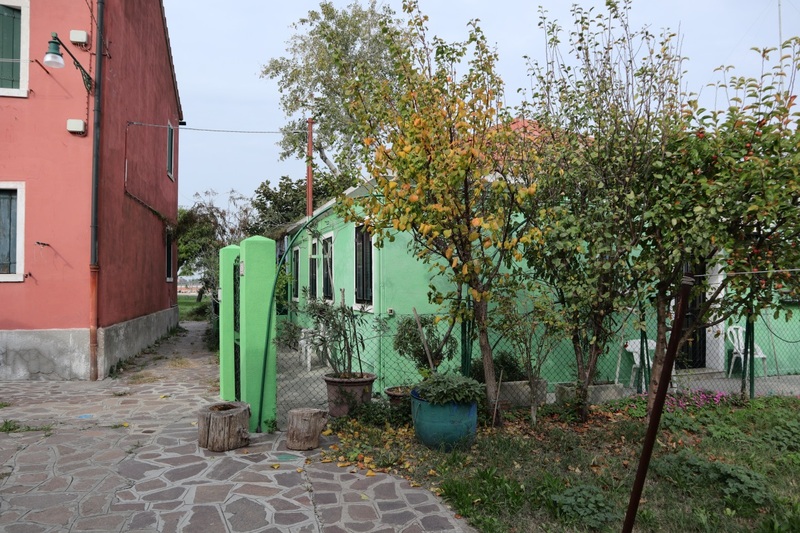 The rest of the places shown are on Burano Island. The bridge seen here is called Ponte di Terranova which crosses the Rio de Terranova canal. 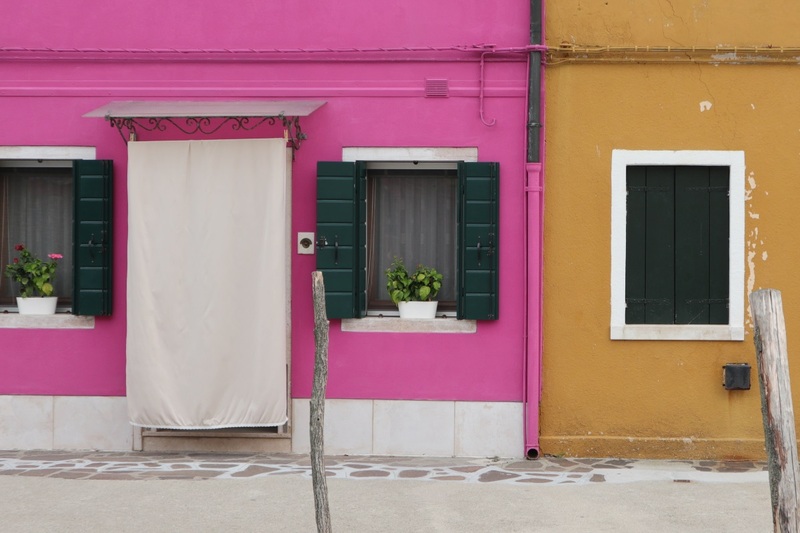 Akari rows past these pink and yellow houses. 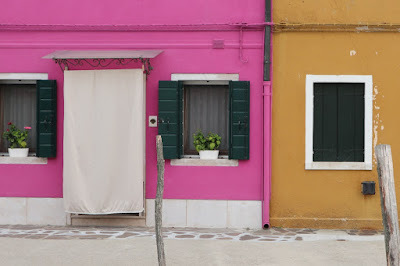 The same pink house and another blue one next to it. This is further north along the Rio di Terranova canal. 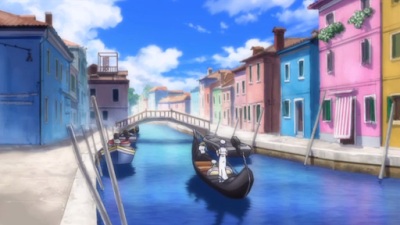 The bridge in the background on the left is the Ponte Vigna. 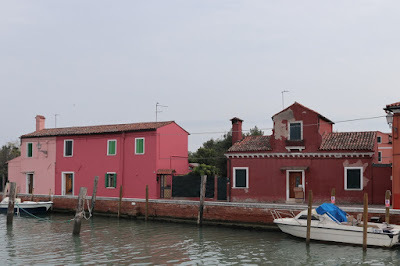 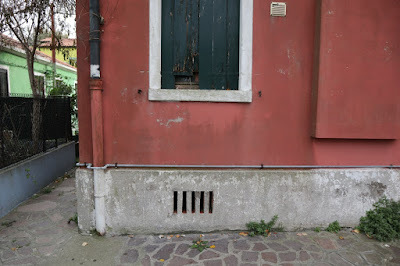 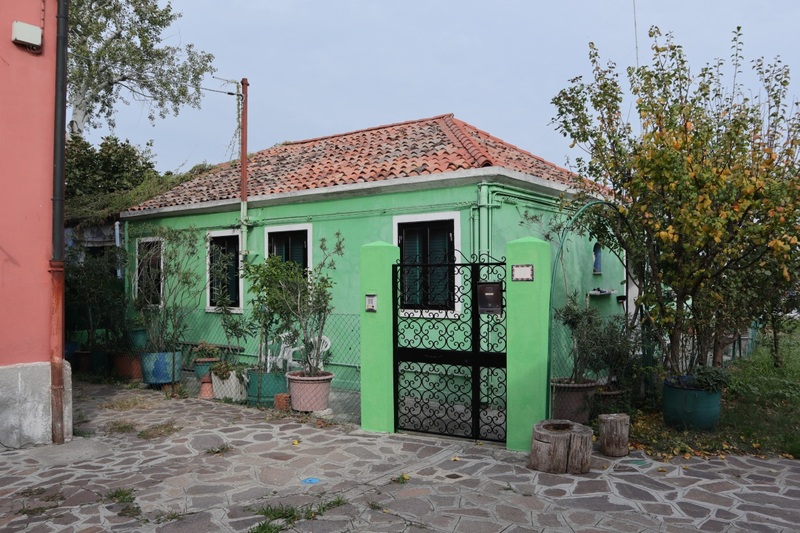 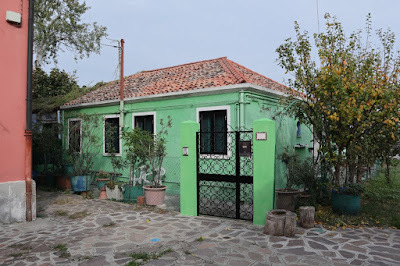 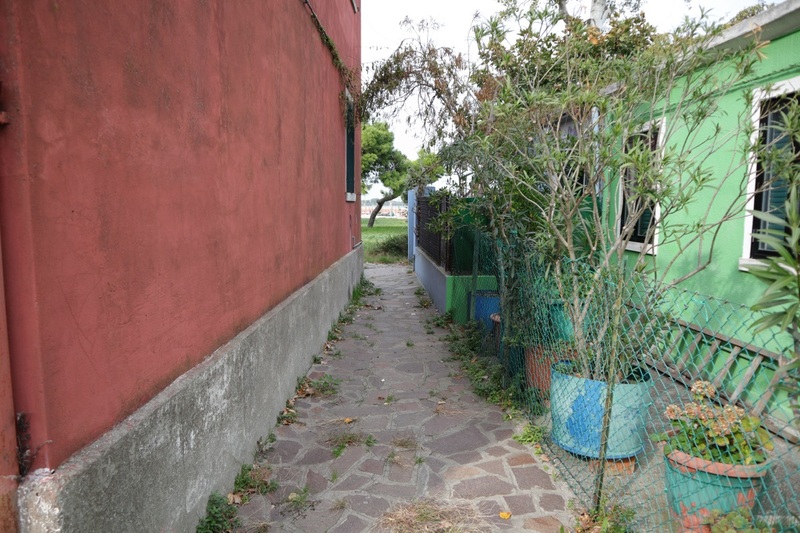 If you pass the Ponte Vigna bridge and then head east you'll get to this house. 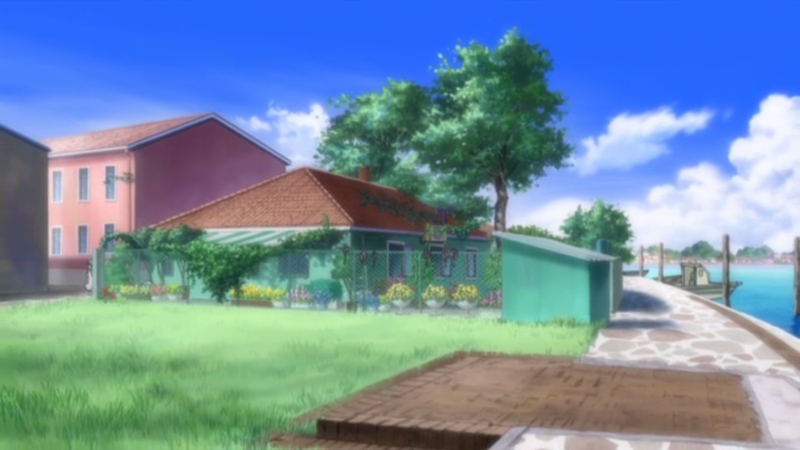 This is where the former prima Anna lives in the show. 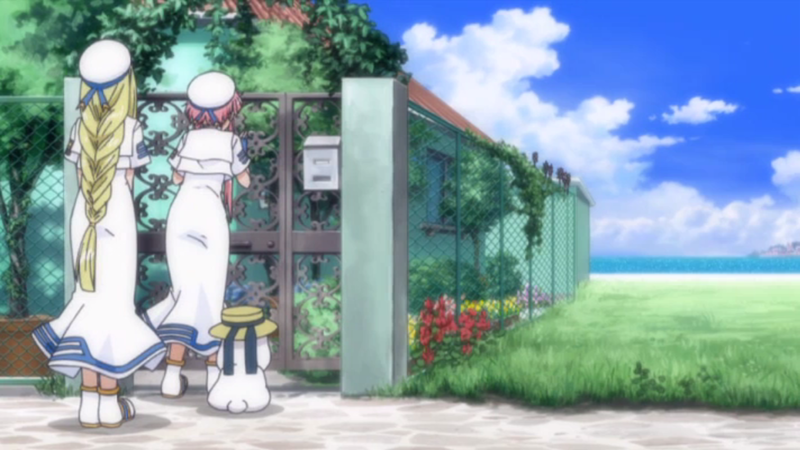 Nobody home when they arrive. The house is right next to the sea. Akari and Alicia gets spotted by a kid. 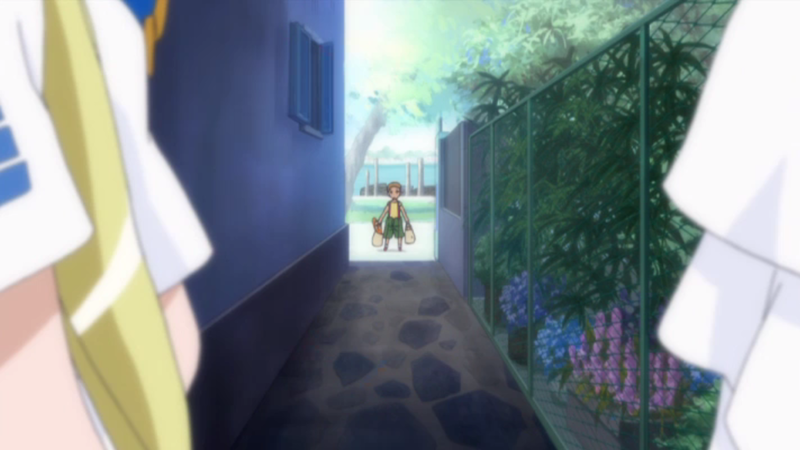 Who is the son of Anna. The building in the background here is red instead of blue in real life and there's only 1 window. 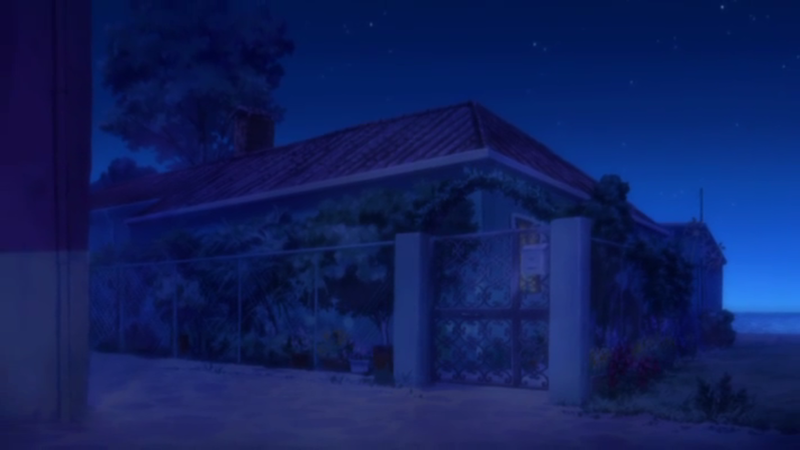 Another shot of the house. 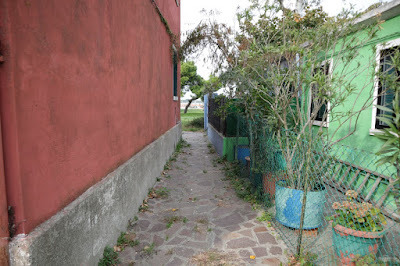 This location is elsewhere on the island. 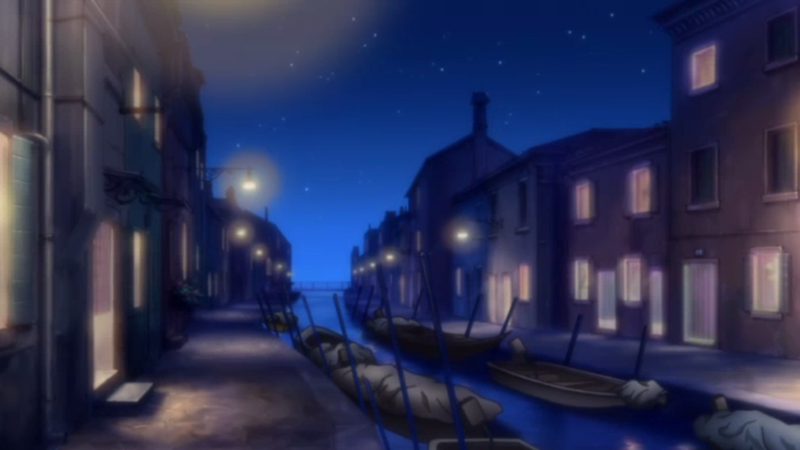 The bridge seen in the distance here is the Ponte dei Tre Ponti. I've marked a path from the Mazzorbo water bus stop, past this bridge and the Ponte di Terranova, ending up at Ponte Vigna in the map below. 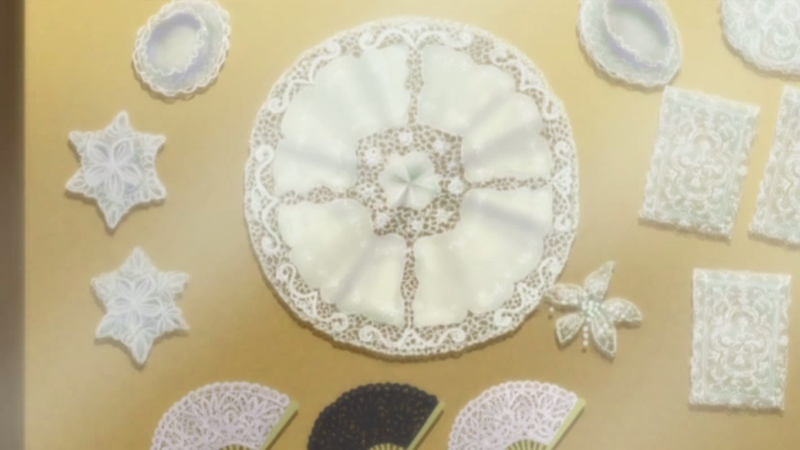 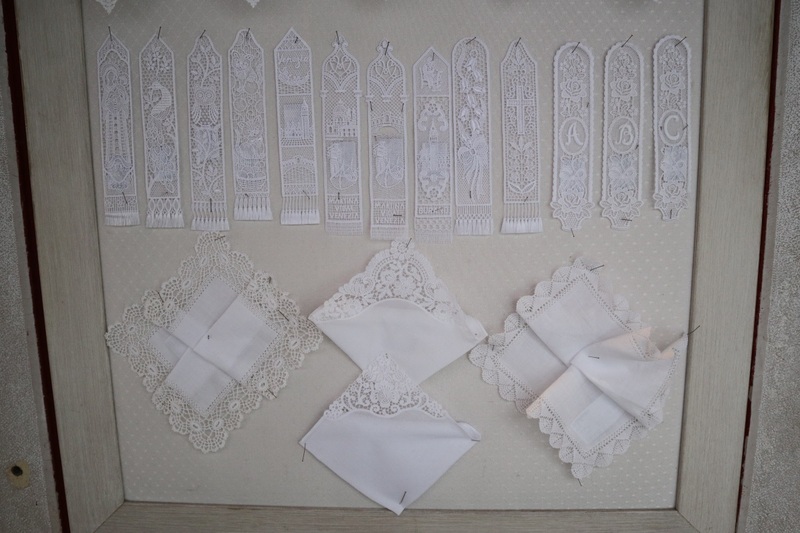 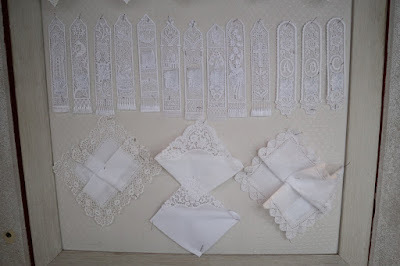 While here I also saw one of the shops selling lace.